Yes, I said brand + business in the same sentence. Because until you know EXACTLY who you are, your highest, most-valued work AND your sweet-spot clients and niche, your business will stall. Sure you can get a few clients and buyers here and there—but a consistent flow of the right people thrilled to pay what you know your work deserves? Not gonna happen by accident. You need to become—and market yourself as—not just any consultant, but an irresistible, exceptionally unforgettable one. Because then, YOU get to choose. You choose the work you do, the clients you serve, the people you invite into your orbit. You even get to set prices that your less well known peers can only dream about. You build the brand — and the business — your work deserves. Ready to stop being the world’s best kept secret? 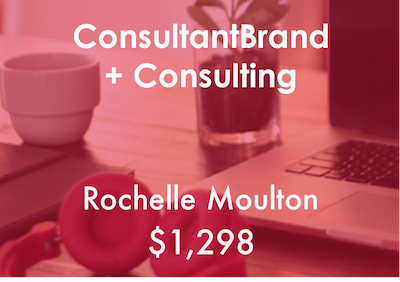 Enter ConsultantBrand, a six week intensive brand + business building workshop designed for solo consultants and freelancers. Position your unique experiences, talents and passions to clients and buyers who will pay you what you’re worth. Achieve clarity on your “brand of genius”—how (and on what) you work best in ways no one else can match. Pinpoint your ideal clients and your niche in markets that will pay you a premium for your expertise. Articulate your big idea and your brand “sound bites” to begin or accelerate building your tribe. Tell “the story of you” so that it dovetails with your brand of genius and your sweet-spot clients. Create a step-by-step action plan to successfully launch your Consultant Brand. "Be unforgettable. 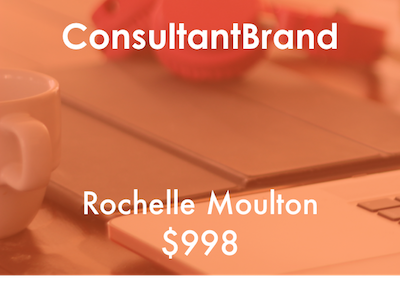 This is Rochelle’s promise and she models it well within an unforgettable experience in ConsultantBrand. She did this for me with a precision that is obviously business smarts, along with a great deal of fun—but it is the nurturing of validation deep within soul that I will never forget. I would not be able to recommend Rochelle highly enough for the clarity, confidence and courage that she calls out of me." You’re new to consulting—maybe you’ve recently left a big firm or are secretly plotting your escape from cubicle-land. 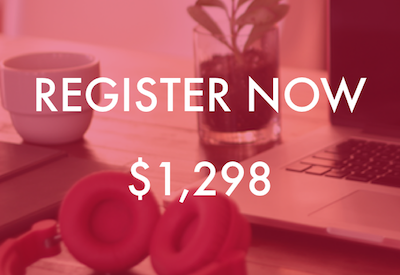 You’re committed to building a viable, revenue-generating business and want the tools to get started right now. Experienced consultants challenged to grow consistently. You’ve been in business long enough to know that you can’t get where you want to go alone. You’re looking for faster ways to identify and connect with sweet-spot clients and build consistent revenue strategically. Successful off-line soloists who want to crack the on-line code. You’re running a successful off-line solo practice, but haven’t built the right bridge to replicate—or upsize—your success on-line. You’re looking to take a strategic leap to the next level of your vision. 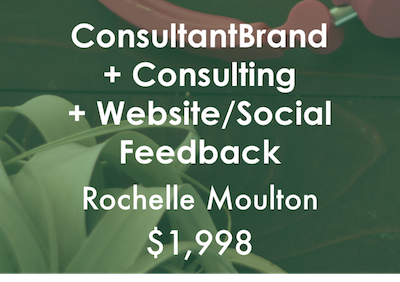 "In ConsultantBrand, Rochelle takes you on a journey—for me it was a soul dive that made me change course—to understand your work, your talents, your passions, your big idea and how to package them up for your ideal clients. She has a way of making you–not question, but confirm—your passion and conviction and understand that your gold is not always in the shallow part of the stream. And it’s about taking your passion to others—because when you dig, you find the world is full of people who want what you have." Hi, I’m Rochelle Moulton. Think brand strategist, serial entrepreneur and marketing midwife. Nothing jazzes me quite like helping consultants and big thinkers birth and nourish their ideas. I earned my consulting stripes leading introverted brainiacs at some powerhouse consulting firms: Towers Perrin and Arthur Andersen. 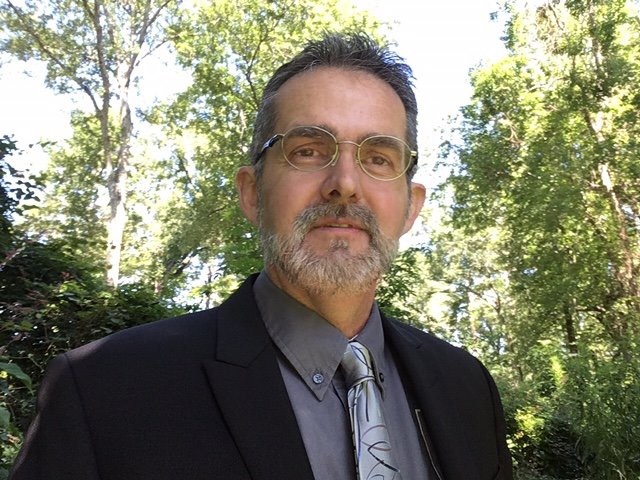 I’m a serial entrepreneur (and occasional intrapreneur) who has built, led (and sometimes sold) more than a few 6, 7 and 8-figure consulting businesses. 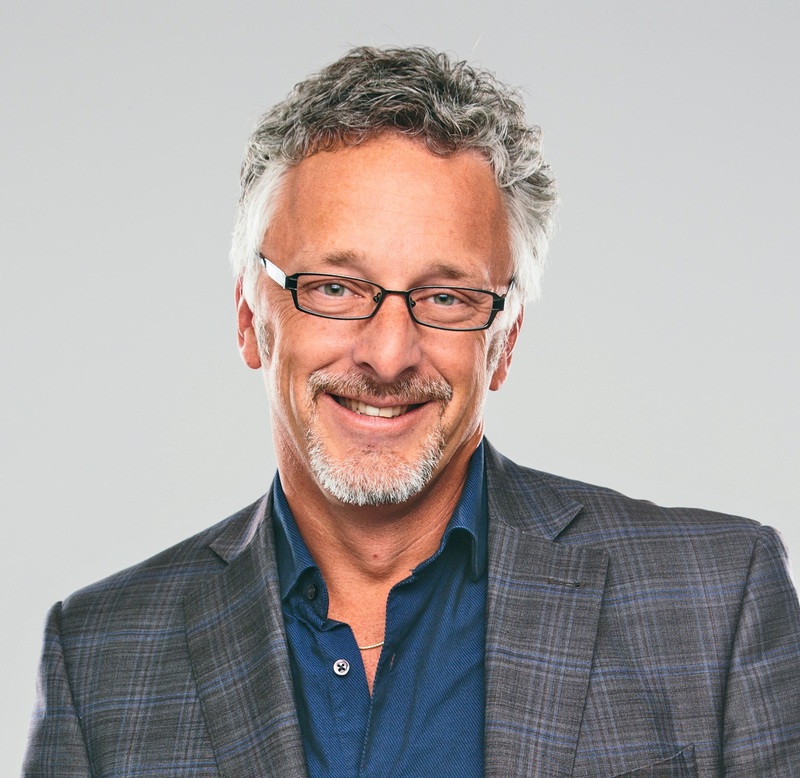 I’ve consulted to dozens of consulting firm leaders and even more soloists building deeply successful brands and businesses. Which means there’s a pretty good chance I’ve encountered the challenge(s) vexing you right now. Brand + business is how I think, speak and operate. What good is investing in an unforgettable brand if you can’t create a viable, strategic business out of it? I write weekly about exactly that at RochelleMoulton.com. 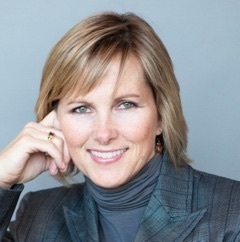 I’ve been named to “The Circle of Power—The Top Ten CMO Influencers” in the #4 slot. And I’ve gotten my clients and their ideas featured everywhere from The New York Times to The Atlantic to PBS to The Today Show to CNN to Cosmopolitan (yes, Cosmo). I created Consultant Brand to show you how to master your message and your audience to build your own powerhouse brand + business (cue the angels singing). "Rochelle is a gift! She has a KNACK for getting into the heart of my brand and pulling forth what I meant to say. What I meant to think. And what my audience wanted me to bring to the market. And then she illuminates the next step to make me EVEN MORE unforgettable. Rochelle is generous, thoughtful, experienced, sharp and she has skin in MY game." There are four core modules in this workshop—each with 6 to 13 video lessons (including transcripts) plus complementary BrandSheets, so you can apply the lesson to your situation. Every week I’ll release a new module, except for weeks 3 and 6, which are implementation weeks where no new content is released. These pauses are designed to give you a chance to take action on the work you’ve already done. 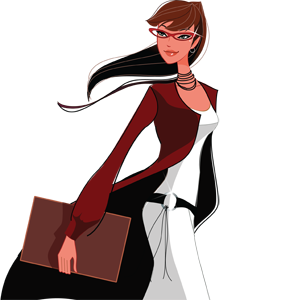 You’ll also get LookBooks (visual examples of high-impact Consultant Brands), video workshops, a LaunchBook to launch your consultant brand and more. All workshop materials are on-line in my private ConsultantBrand member-only site. Once all content has been released, you’ll have access to the entire collection of training materials for the life of the program. Every week, I’ll host a live call (recorded for playback) where I’ll take your questions and—depending on the group size—lead discussions. If you can’t attend live, simply send me your questions in advance and I’ll answer them on the call. AND, you’re invited to join the private LinkedIn group I’ve established for students of this program only. You can pick up a few pearls there from me, but your fellow students will likely also drop some gems. Finally, the hot fudge and nuts for your branding sundae: you can upgrade to include some personal 1-1 consulting time with me or even have me review and make recommendations on your website + social media platforms. "I connected with Rochelle at exactly the right moment. A moment where I was struggling to fully shape the new business proposition that I was developing. I was clear on the “who” but I needed help in developing the "how" and the "what". If, like me, you are a solo entrepreneur who is grappling with how to grow your business in a way that fits with who you are and where you want to go, then Rochelle is the person that you should be speaking with"
Module 1: What Lights You Up? The opening module is all about you—the heart and soul of your brand. 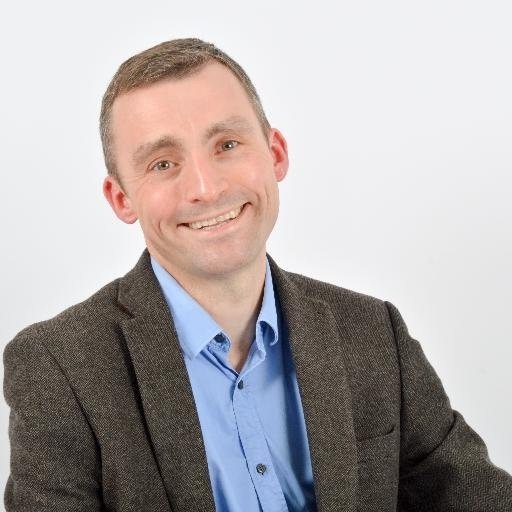 We’ll talk about your values, purpose, vision and what makes you truly irresistible. You’ll spend time mining your key experiences and stories to help tell the story of you. We’ll do a deep dive into your belief system as a consultant. You’ll build out your manifesto and your point of view while getting clarity on the benefits of working with you from your clients’ viewpoint. We’ll talk the five brands of authority, pricing and staking out your genius zone. You’ll pinpoint your sweet-spot: the clients—and the niche—that will best integrate who you are with how you prefer to work with a robust marketplace for your business. 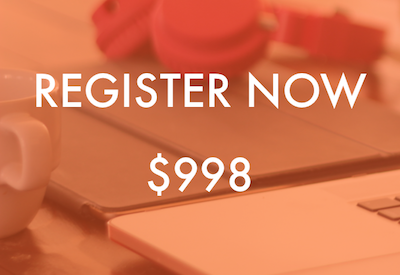 I’ll teach you how to choose the best tribe for your vision, build relevant client avatars and map your experience to the right niche for you. 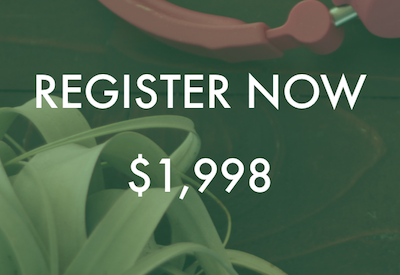 I’ll show you how to isolate (and phrase) your Big Idea and create the “sound bites” that will serve as a clarion call to your sweet-spot clients and buyers. And I’ll teach you how to write your origin story so that it ties to your Consultant Brand. Then you’ll pull it all together into a personalized LaunchBook which will serve as your action plan to implement your new messaging and Brand. You can pay now or opt for a 3-month payment plan. A 90-minute private consulting call with me (recording optional) anytime during the course or up to 30 days afterward. A detailed review of your LaunchBook (and any other BrandSheets you’d care to share) plus a recorded assessment with recommended changes to your website and social media platforms (up to 5 sites). "The way Rochelle extracts core values, characteristics, visions and goals and then bundles them up very precisely and articulately is what sets her apart. She encouraged me to delve deep to bring personal stories up from childhood and adolescence to strongly illustrate who I am and where I’m going. Brilliant! I use my manifesto in everything from elevator speeches to social media pages…"
Are you ready for some big results? You can continue to do it on your own and hope you’ll succeed. Or you can join me and know. In the work I’ve done over the last twenty years with clients—not to mention in my own businesses and consulting practices—I’ve learned what works. AND what doesn’t. I’ve had a front row seat to some stellar successes and made my own set of bone-headed moves no one should have to repeat. I’ve packed all of those lessons into this course and can’t wait to share them with you. One final note: Here’s my personal guarantee: If you do the work in this course and fail to get the value you expected, simply send me your completed worksheets within 30 days of your purchase and you will get 100% of your money back. No questions asked.